When the appearance of the mobile phone changes, what is the response of most users? Flips, caps, and straight touch screens… When these designs are just out, the most commented may be “alternative.” When technology and design collide, and both functions and beauty are realized, the emergence of OPPO Find X, the relationship between technology and art is once again rethought. 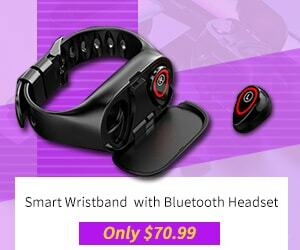 Currently, its pre-sale has begun in just $999.99 and this price is lower than that seen in other stores. 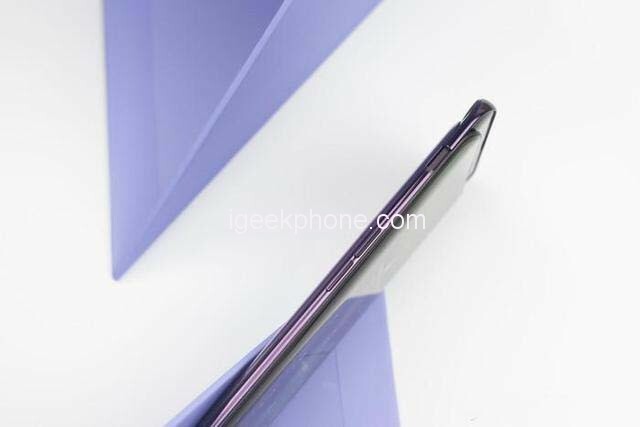 OPPO Find X is by far the most impressive smartphone of the moment, being the first full-screen and borderless model that integrates 3D facial recognition like Face ID. The “periscope” system that automatically slides up and down is an enigma for many, but there is already a disassembly guide that reveals all the secrets hidden in the body of this model. 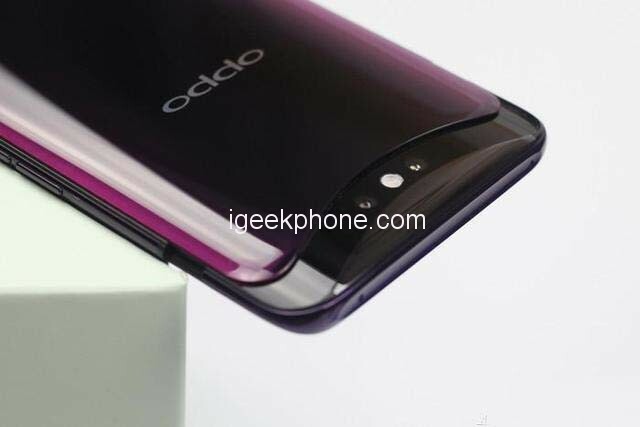 OPPO Find X is equipped with the top-level configuration of Snapdragon 845+ 8GB, inheriting the flagship gene of Find series, with amazing screen ratio and “dual track and subliminal structure”. 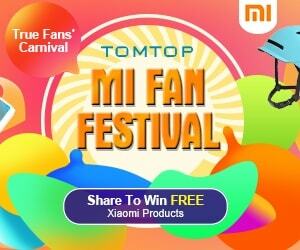 While fully demonstrating the strength of OPPO research and development, it also allows many consumers. 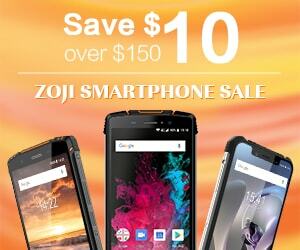 Another possibility to see a smartphone. Is it a tool? Still a part of fashion? 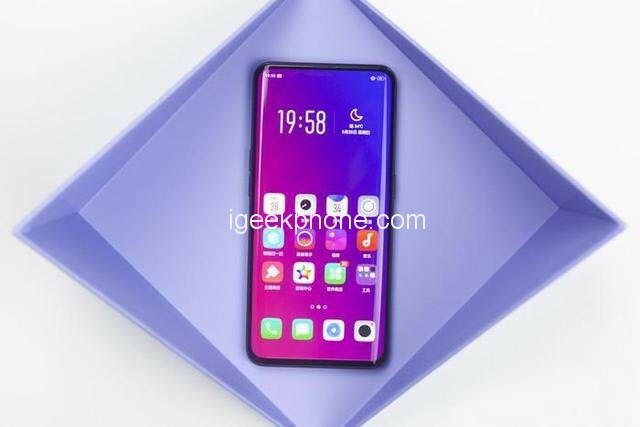 The new design, behind the scenes, means different experience, whether it is the appearance or the system, then OPPO Find X has any details worthy of attention, immediately enter our detailed Review. Art has always been the brand tonality of the OPPO model. OPPO Find X is to bring this artistic style to the extreme of the brand. 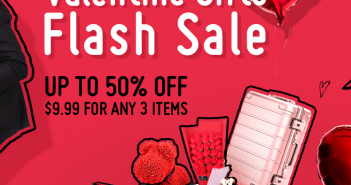 From the design, texture and even packaging, it is more intentional and more beautiful, so that new users can also A bright appearance experience. 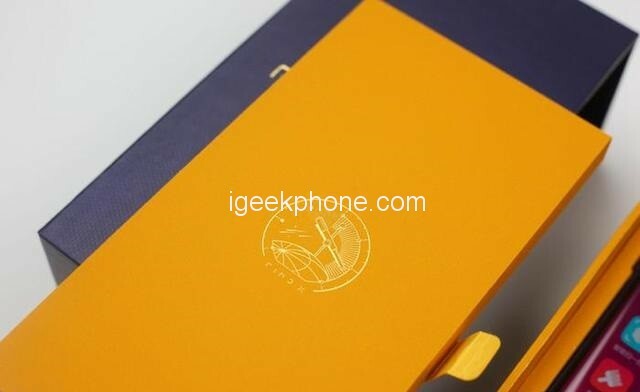 First, see the packaging of the phone. 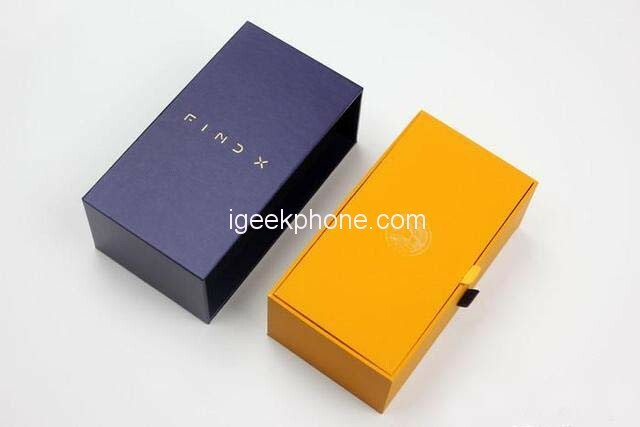 OPPO Find X changed the iconic white box and used a more ceremonial outer box design. The overall color tone also became a more stable indigo. The outer shell texture was specially treated to feel a certain texture. There is a golden Find X logo on it. The entire outer box uses a drawer design, the inner box is closer to chrome yellow, and some people are called Paris yellow, reminiscent of the place where it debuted. The soft belt with a leather texture on the side is used as the point of force for pulling. The inner box is slowly pulled out, and the telescope symbol representing the spirit of exploration appears in front of the eyes. 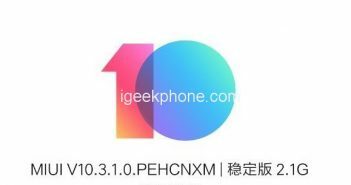 The structure of the inner box is not much different from the previous OPPO model. 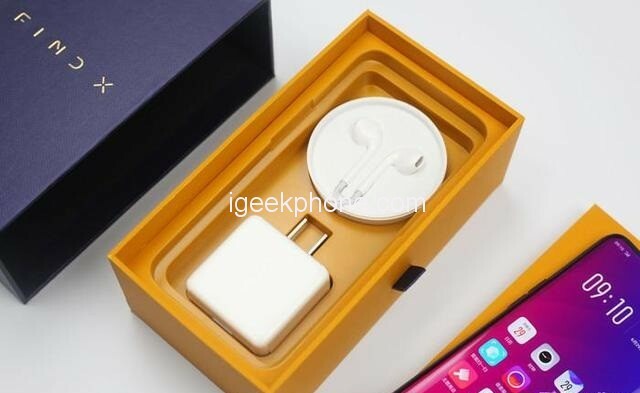 Complete accessories, VOOC flash charging source, and data cable + earphones, hidden directly under the terminal, the place where the Smartphone is set up also intimately made the opening, convenient for the user to elegantly remove the accessories inside the box and the big thing is, of course, OPPO Find X.
OPPO Find X has a 6.42-inch OLED curved screen with a 93.8% screen ratio and uses a COP packaging process. The resolution reaches the FHD+ level, and the color effect is superior in this year’s mainstream flagship device. 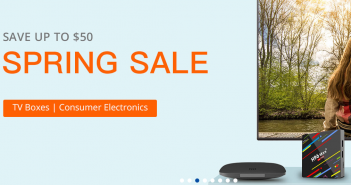 Thanks to the curved surface and high screen ratio design, the visual effect is excellent. Find X’s screen surface design is very different from the past curved surface model. It uses a relatively gentle arc, so the grip feels more comfortable. More importantly, the visible angle of the curved part is also excellent, making it aesthetic. The design and practicality have been unified. 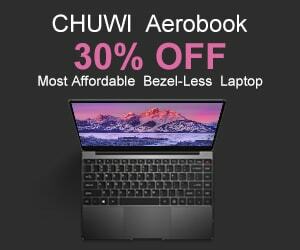 In terms of recognition, it is necessary to mention that the “dual-track periscope structure” on the top of the whole fuselage can pass the liftable built-in OPPO FaceKey 3D structured light and front and rear cameras. The OPPO Find X has the highlights that other flagships do not have. 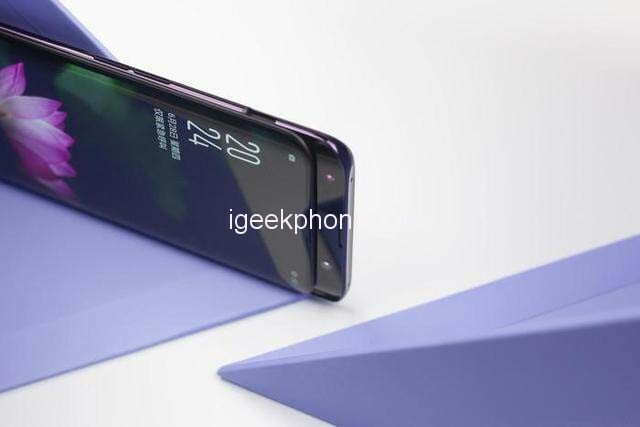 Before the review of Oppo Find X, many users have doubts about the movable parts. After all, the traditional integrated structure has a wait-and-see attitude on the thickness and body integrity. 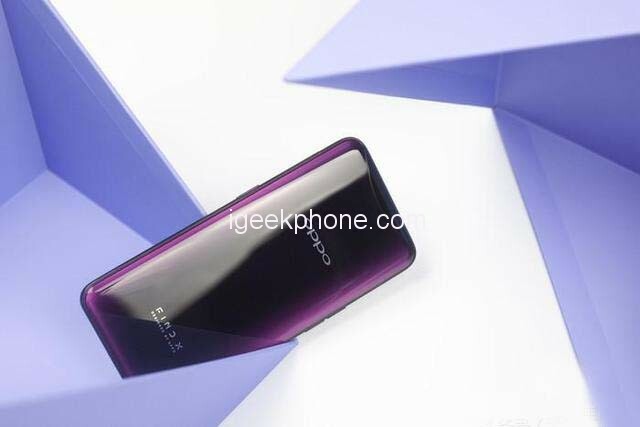 In fact, when OPPO Find X is in the state of being combined, the whole handset is completely integrated, and it is almost impossible to see that this Smartphone has a mechanism that can provide moving parts. The design is cleverly embodied on the body of the OPPO Find X. The gap at the top joint is extremely small. Different materials and curves give the design a sense of harmony. 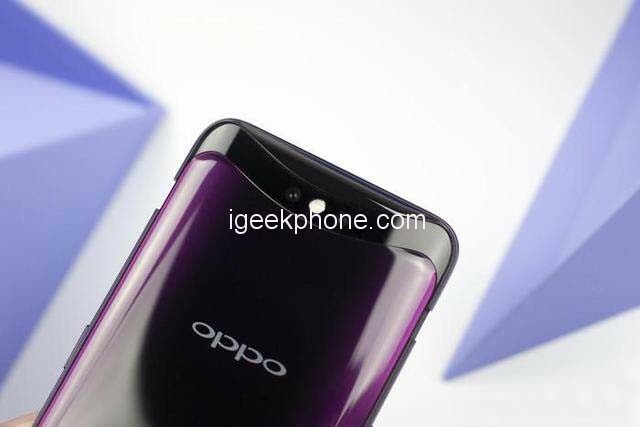 Even if it is left to the designer to play the smallest part of the middle frame, it also reflects the exquisite workmanship of OPPO in the flagship phone, it is worthy of praise. 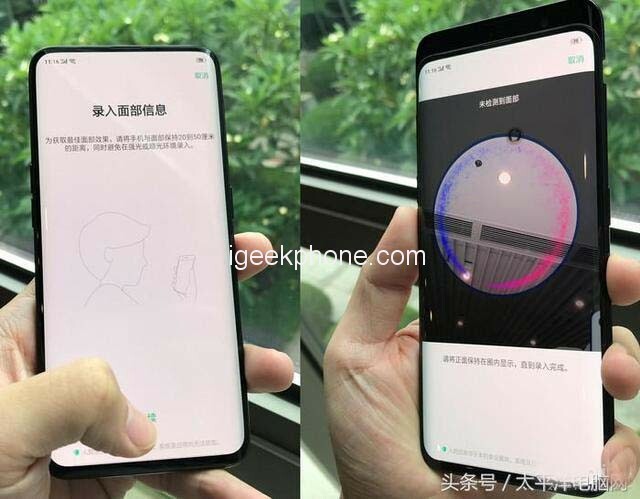 When the phone rises, it turns into the “second form.” The design of the entire top rated, the part of the curve left is turned into the inheritance of the family-style “Scorpio” arc. The panel design with various sensor cameras is also filled with curved elements, giving the impression that it grows out of the fuselage. 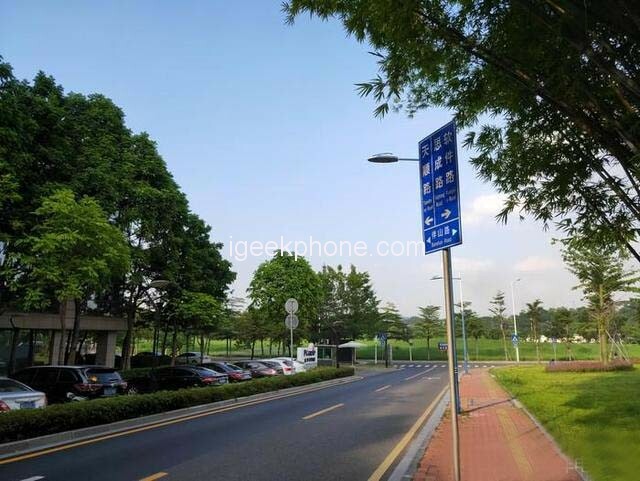 The highlight worth mentioning is that the extra part of the middle frame is raised, and the color similar to the fuselage is used, which reduces the abruptness caused by the mechanical structure. Even in the raised state, the sense of unity of the whole machine is not affected. Too much impact. 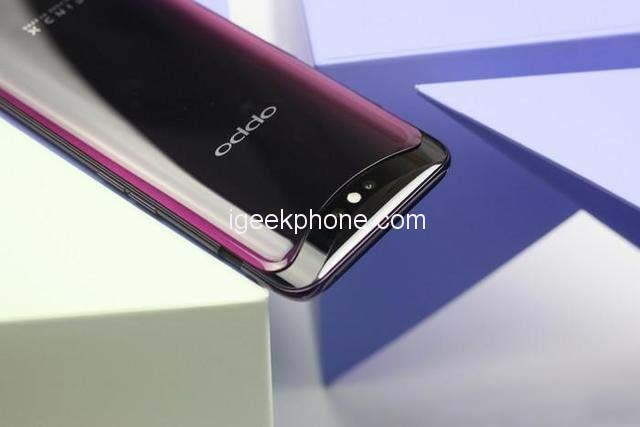 An attractive mechanical design, even more powerful, is that OPPO Find X is upgraded again in color application. The curved glass body adopts the “3D laminated streamer coloring” process, and the color layering is more abundant as if it is emitted from the mobile phone itself. 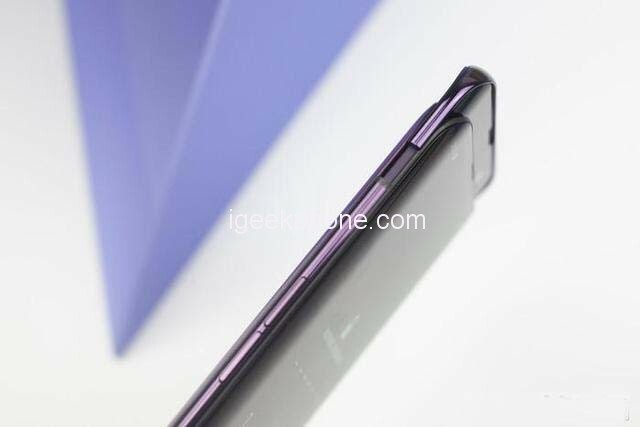 The Oppo Find X holds different postures and angles, and the reflected light is not similar, and the texture is more outstanding. The data interface becomes the Type-C standard and supports VOOC flash charging. The card slot is placed at the bottom of the fuselage, and the shape design is 10 different, so it can be hidden in the “crescent bend” groove which is also a family design, so that the middle frame part on the left and right sides of the fuselage has a smoother transition and has a sense of unity. 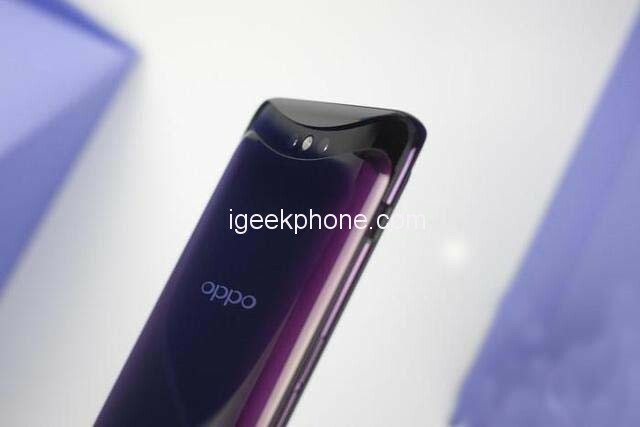 On the hardware, OPPO Find X also has a variety of top-level configurations, equipped with Qualcomm Snapdragon 845 processor, with a large memory combination of 8GB RAM + 256GB ROM, and Find X Lamborghini version will also be equipped with up to 512GB of storage. 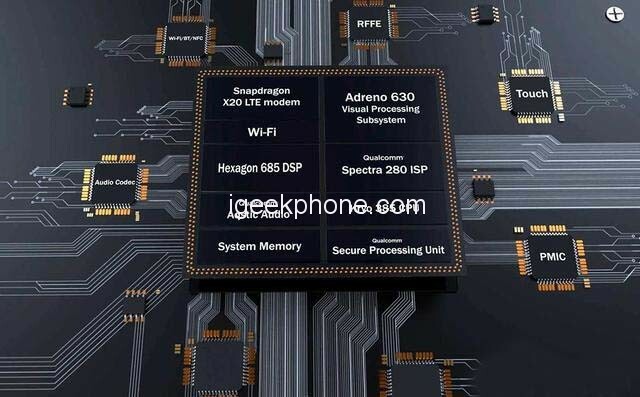 Snapdragon 845 is Qualcomm’s current top processor, using 10nm FinFET process technology, and ARM-based magic modified eight-core architecture design, including four Kryo 385 large core (A75) and four clocked at 2.8GHz The Kryo 385 small core (A55) clocked at 1.8GHz, which is 25% better than the Snapdragon 835. On the GPU side, it is upgraded to Adreno 630, which is 30% better than the previous generation. Under the blessing of top-level processors and large RAM memory, the comprehensive performance of OPPO Find X has reached the highest level of the current Android array. The comprehensive score of Antutu has reached 289,335 points, and the 3D mark score has reached 89,298 points, more than 99%. model. 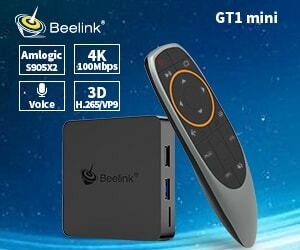 In addition, Geekbench’s single-core score is 2340 points, and the multi-core score is 8347 points. 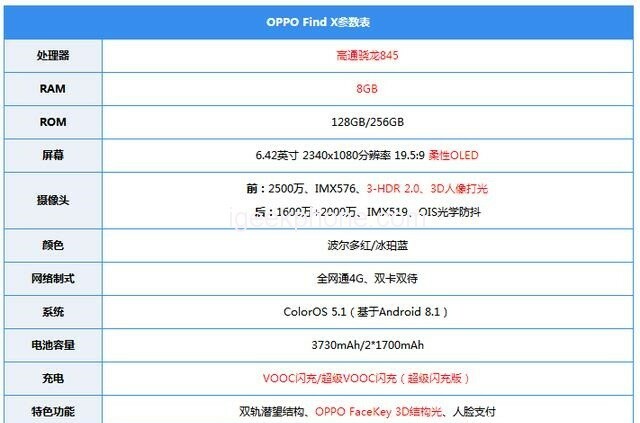 As for flash memory, according to Androbench’s running scores, it can be judged that OPPO Find X uses UFS 2.1 flash memory. In terms of game experience, we selected the current mainstream “Glory of the King” and “Jesus Survival: Stimulate the Battlefield” to test. At the time of testing, the quality of the two games was adjusted to the highest by default. In the “Glory of the Kings” aspect, OPPO Find X is smooth throughout the game, with an average frame rate of 60 FPS (full frame). From the frame rate curve, the game process is also very stable, only when the game character dies, there is a significant drop frame. As for “Jesus Survival: Stimulating the Battlefield”, OPPO Find X is also very smooth throughout the operation, with an average frame rate of 40 FPS (full frame), and the frame rate does not have any particularly large fluctuations throughout the game, and the game experience is very good. 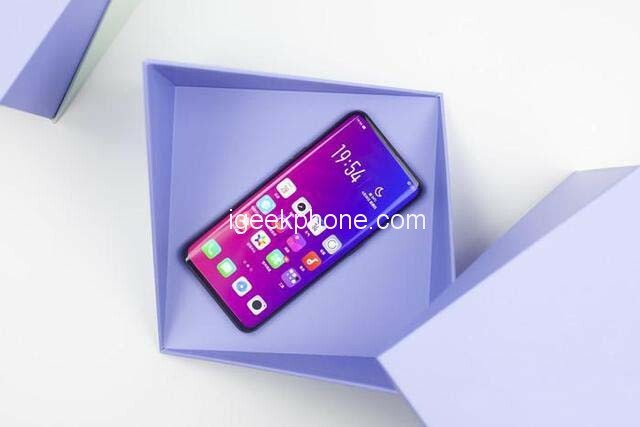 OPPO Find X has such a great gaming experience, in addition to the hardware performance there, it is also related to the optimization of the game experience, which is the exclusive game space, providing graphics acceleration, smooth optimization, game engine and network protection. And so on to optimize the game experience. 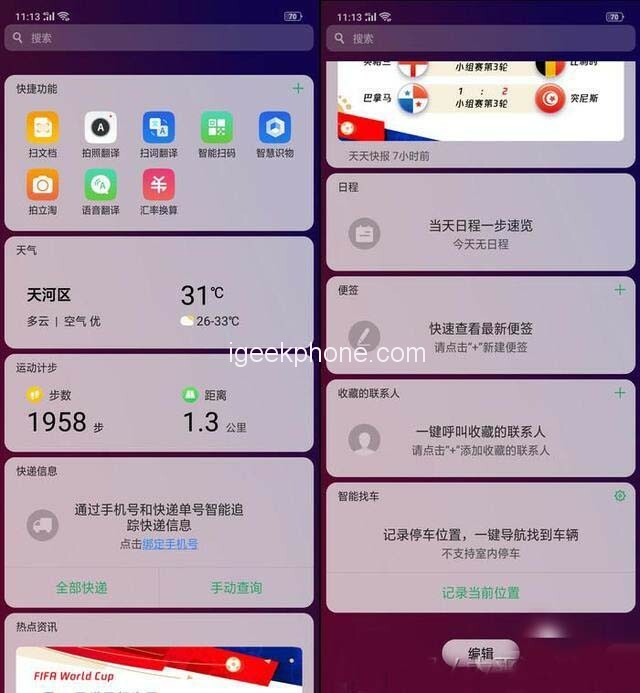 In addition, OPPO Find X also has a game anti-interference function and also provides a very useful toolbar, you can open the toolbar by simply sliding it on the top of the body while playing the game. 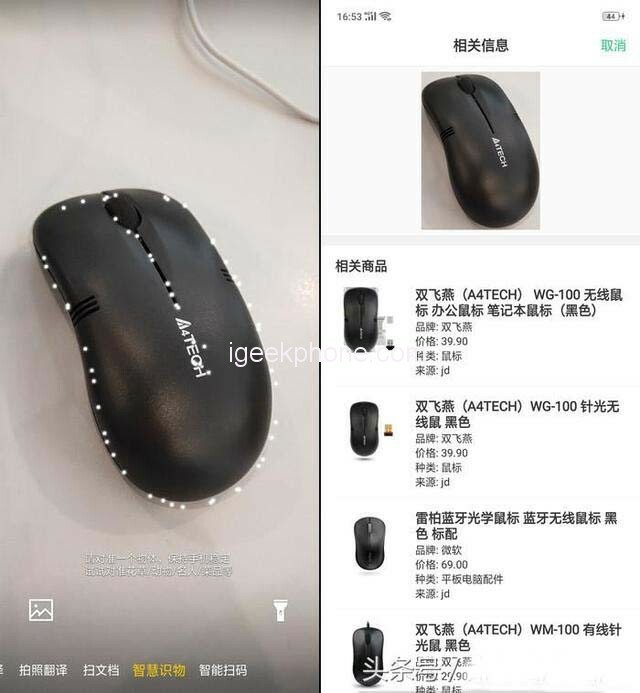 In the toolbar, you can select the quick screenshot and screen recording function, and you can also open WeChat and SMS to send and receive information in a small window. In terms of performance, OPPO Find X is definitely impeccable. 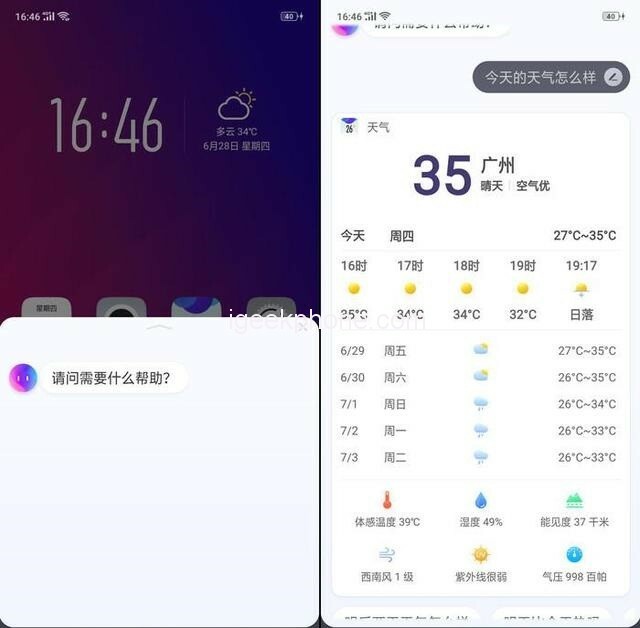 It is worth mentioning that in terms of the game experience, in addition to ensuring the game is running, OPPO Find X still makes a difference, that is, experience a good game anti-disturbance and shortcut toolbar. Some user say that the good-looking skin is the same, the interesting soul is one of the best, but OPPO has a natural appearance, the radiant appearance of the body, the same does not relax the soul system of the mobile phone, equipped with Android 8.1 on OPPO Find X. The latest ColorOS 5.1 brings a more beautiful UI experience and a smarter AI system experience. The nature of man is to release his own hands. 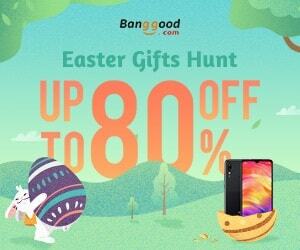 When he used the AI voice assistant on OPPO Find X, he found that all this came so fast. The voice assistant supports global wake-up. Just say the wake-up words, no matter where you are, you can easily let the voice assistant help you. Don’t just set the alarm clock and turn off the Bluetooth, even if you send a payment to WeChat, set it. A navigation is easy because OPPO’s AI voice assistant has been perfectly adapted to many third-party applications. Speaking of the all-weather voice response, some users are worried about power consumption. 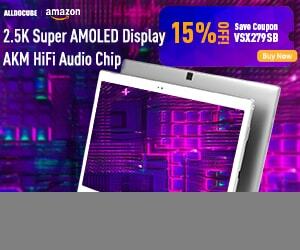 OPPO also understands the user’s concerns, boldly abandoning the traditional MIC solution, and adopting the DSP module + intelligent MIC solution on Find X, not only according to the surrounding environment. The sound adjustment performance is also perfect for a low-power wake-up solution, making the global wake-up of the voice more practical. The function of AI is not limited to this. The right sliding screen can enter the intelligent negative screen function. 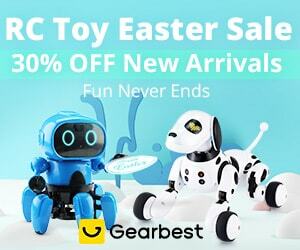 It is a collection of functions and information. 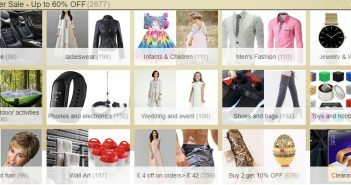 Through the review of related users, it can automatically display the latest itinerary, express news, and flight. The dynamics of the train allow you to get the information you need in a timely and efficient manner. 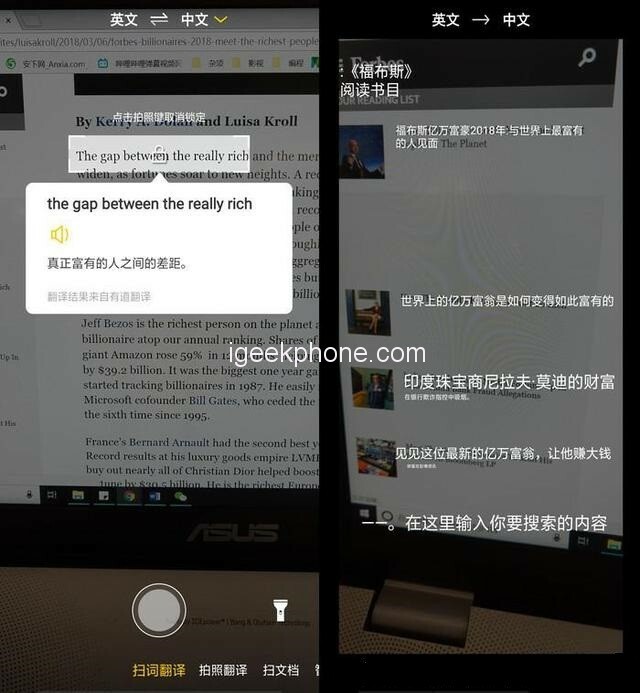 AI also gives the OPPO Find X smart screen function, whether it is text or pictures, as long as the screen is pressed after a large area, it can be easily extracted, translation, search or copy can be easily selected; ORC technology is added, let You can scan a variety of objects through camera scanning, and also provide instant translation, content extraction, and even cargo inquiry. In short, you will find life easier. The OPPO FaceKey 3D structure light made us shocked. After all, it was the first Android Smartphone equipped with 3D structured light. 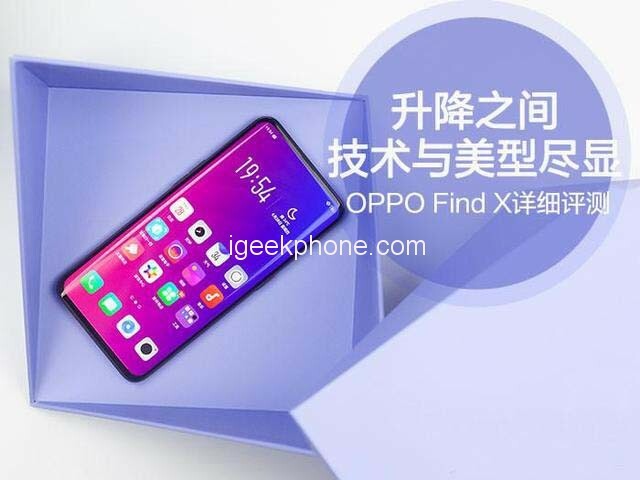 Some people have found that there is no fingerprint recognition on OPPO Find X. How can device achieve fast and confidential payment? At this time, OPPO FaceKey 3D structure shines brightly. OPPO has established a good cooperative relationship with Alipay early on. Under the strong technical research and development strength, OPPO FaceKey 3D structured light finally meets Alipay’s extremely high-security requirements. 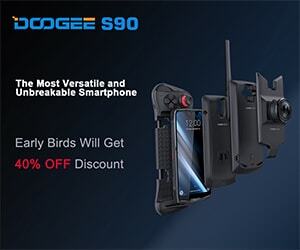 In the end, the first 3D structured light brush face payment on the Android phone was realized, and you can buy and buy it easily and happily. .
Consumers’ attention to smartphones is nothing more than design, hardware configuration and system experience. With the overall improvement of Smartphone quality, camera imaging capabilities have become a breakthrough for manufacturers to seek differentiation. As the favorite self-timer artifact of the majority of sister paper, Find X continues the OPPO mobile phone’s pursuit of imagery, equipped with 25MP, IMX 5763-HDR 2.0 sensor with aperture value of f / 2.0, and supports 3-HDR 2.0 technology – In one pixel of RGBG, hardware real-time HDR is realized by using different exposures between sub-pixels, which can output a reasonable self-photographing in backlight and strong light environment. Beauty technology has always been the main selling point of OPPO’s handsets, and this time Find X is no exception. Find X has 296 facial recognition points that provide accurate facial features recognition, intelligently selecting one of the best matching solutions in 8 million beauty programs. Portrait beauty has always been the strength of OPPO. Through the review of AI wisdom and beauty on the face color, skin quality, age and other dimensions, Find X can directly take a satisfactory selfie. According to the sister paper reaction, Find X’s beauty selfies, in addition to the oilskin, whitening and other effects, will also fine-tune the highlights of the eyes, just like a few words said: one inch of autumn waves, thousands of pearls do not feel much. 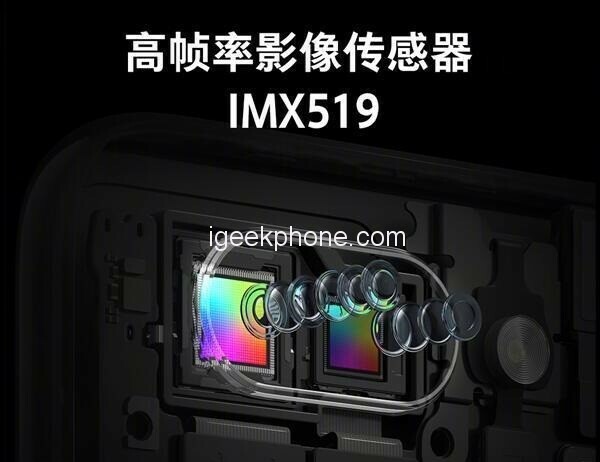 For the rear camera, OPPO Find X uses a dual-camera combination of IMX 519 (16MP, f/1.7, 1.22 μm) + IMX 376K (20MP, f/1.7, 1.0 μm) to support OIS optical image stabilization. The IMX 519 is a CMOS CMOS starting with the OPPO R15. 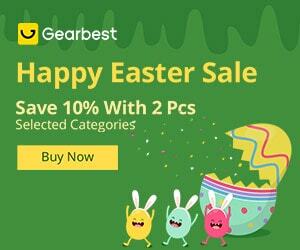 The sensor measures 1/2.6 inch and has a unit pixel area of 1.22μm and 16MP. 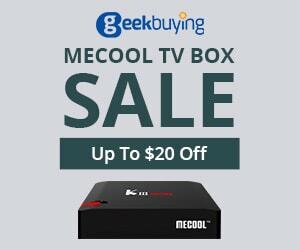 It can be seen as an upgraded version of the IMX 240 (1/2.6 inch, 1.2μm, 1600). CMOS). 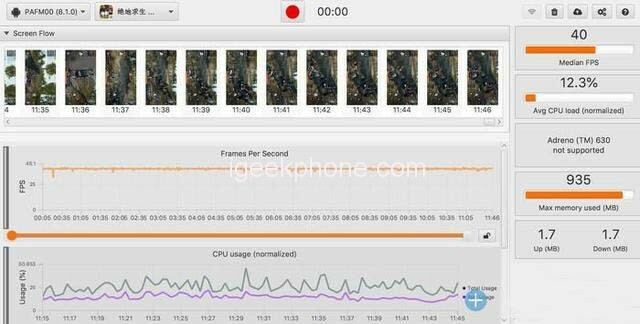 The imaging performance of mobile phones has never been a simple hardware build-up, software and algorithms are also essential. With the help of RAW HDR and AI, Find X imaging quality has an extraordinary place. A well-lit scene means a greater amount of light for the phone, and the output is guaranteed in both color and transparency, and Find X is here. 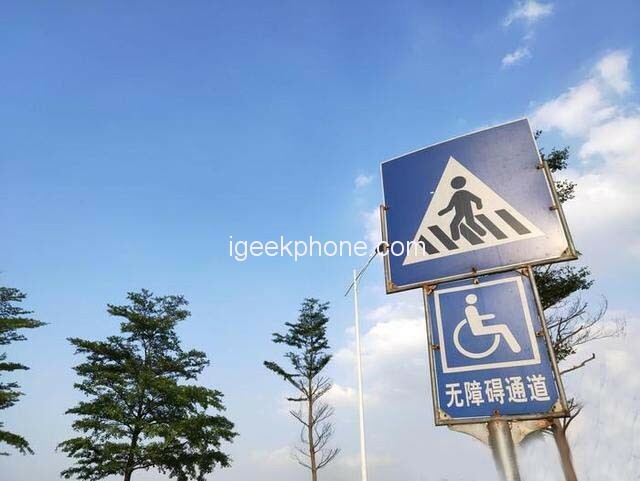 Thanks to the intelligent scene recognition of AI blessing, Find X is very attractive for the color of the blue sky, white clouds, green plants, and buildings. At the same time, the above samples are all backlit scenes, which has no small test of the tolerance of the phone. Find X still retains a lot of details in such a scene. The sky and white clouds in the highlight area are clearly defined. The leaves and bamboo in the dark area are also clearly displayed. It can be said that the tolerance of Find X reaches the level of flagship model T1. The portrait mode is the most mature application of the current dual camera. At this point, the training of Find X is satisfactory. We can see the improvement of the recognition accuracy of the silhouette of the figure, especially the hair and the folds of the clothes are no longer easily exposed; the second is that the gradient blur looks more natural. Overall, Find X’s imaging quality is satisfactory, and software-level tuning is moving closer to the eyes of the human eye, so users don’t have to make late adjustments again – for most consumers, this “original film straight out” The way is more acceptable and satisfying. The stunning OPPO Find X is easy to give a preconceived feeling: you may not see it as a performance flagship because it is beautiful and unique. 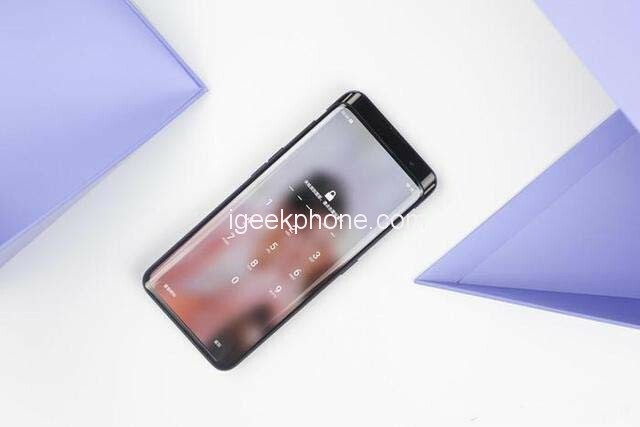 But after a period of experience, you will find that OPPO Find X is not only highly recognizable but also has a satisfying and excellent system and performance in daily use. This is for a flagship phone that presents so many changes. It’s quite rare, just like its screen, “comprehensive” and unique, I think OPPO Find X is the best Smartphone. 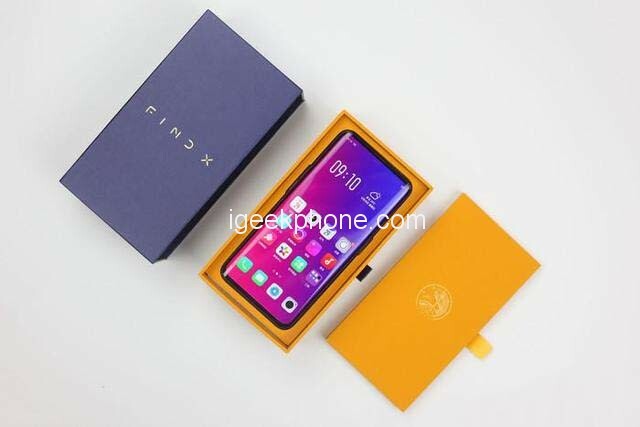 Thanks to a special offer from the Geekbuying online store, the OPPO Find X pre-sale has begun with the priced lower than that seen in other stores.